Kim became interested in becoming a Physical Therapist from a young age. She attributes her desire to pursue the profession to her brother who was disabled. She was always interested and participated in his care and had a strong desire to help with his physical needs. Through the physical therapy he received she realized how much it can impact a person and their family. Kim was also an avid athlete from a young age and has always been very interested in the human body as well as helping others achieve their goals and getting back to their desired level of function. 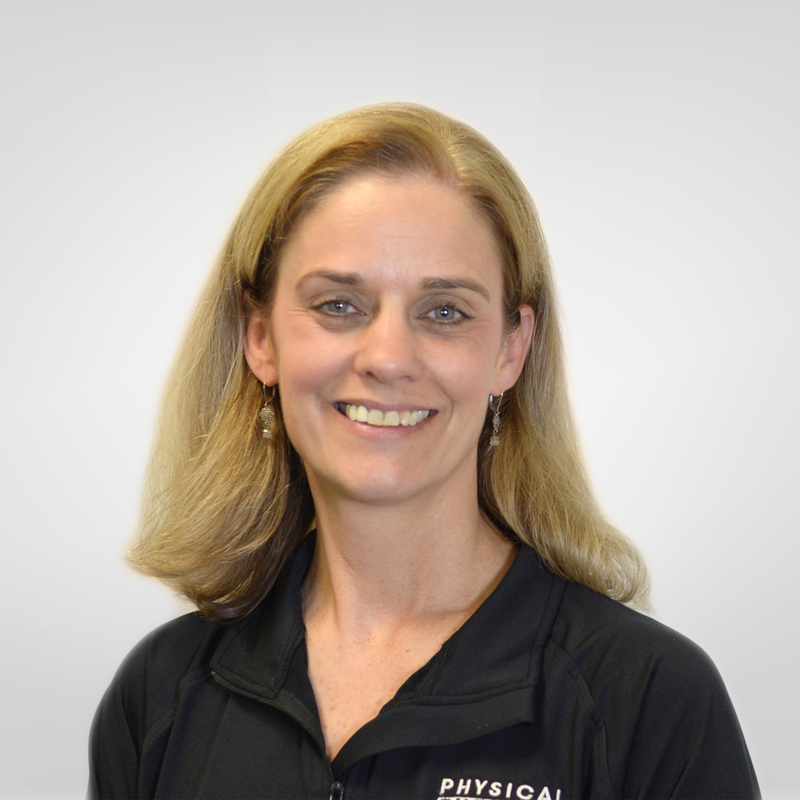 Kim earned her BS in physical therapy from the University of Delaware and has been practicing as a physical therapist since 1990. She started her career at the University of Virginia where she treated all types of patients from the intensive care units to the outpatient clinics. She has experience in a wide variety of physical therapy settings that in include acute care, home health care, skilled nursing and outpatients. Since 1997, she has focused much of her attention on manual therapies and orthopedics in the outpatient settings. Kim's strongest areas of interests is in the foot and ankle, gait assessment, and the knee. She also treats the spine as well as shoulder and knee injuries. Kim has extensive experience in treating post-surgical patients and believes in caring for the entire patient and not just their injury. When Kim is not at work she enjoys watching her 3 children participate in their sporting events, hiking with her family or working out.